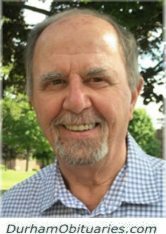 MCKENZIE, John - Passed away peacefully at Sunnybrook Health Sciences Centre on April 9, 2019, at the age of 71. Beloved husband of Elizabeth McKenzie (nee Tominey). Loving father of Scott (Tamara), Rose (Todd) and Chad (Jesse). Cherished Papa to Andrew, Sarah, Trinity, Tyson and Cameron. Brother to Jean Gilmour (Jim) of Glasgow. Passed away peacefully, surrounded by his loving family on April 4, 2019 at Lakeridge Health Oshawa. Cherished father of David (Laurel), Jacquie, Mandy (Rob) and Tracy (Steve). Deeply loved grandfather of Will, Tony (Katherine), Heather (Adam), Nathan, Zoe, James, Matthew, Allie and Ben. HAYES, Robert Bruce - At Lakeview Manor, Beaverton on Monday, April 8, 2019. Bob Hayes was born in Oshawa and was a long-time employee of the City of Toronto Zoo. Beloved husband of the late Josie Laarakkers, Dear father of Paul, Lisa and Daniel. BRAMLEY, Neil Edward - Peacefully, surrounded by his family, at Lakeridge Health Oshawa, on Monday April 8th, 2019, at the age of 84. Beloved husband of Shirley Bramley for sixty-one years. Loving father of Lori Scott (Kevin) of Whitby and the late Mark Bramley (Nancy) formerly of Port Perry. 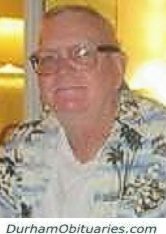 NASH, William 'Billy' - Suddenly but peacefully, Billy passed away on Monday, April 8, 2019, at the age of 82. Much loved husband of Rosemary of 32 years. Proud father to Blair (Chantalle) and Peter (Aimee). 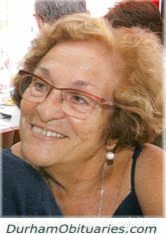 DEUDNEY, Lucia Gertruida - It is with great sorrow that we announce the passing of Lucia Deudney on Monday April 8, 2019 in the company of her loving family. Beloved wife of the late Stanley Deudney (August 12,2017) and loving mother to sons, Eric (Karen) and Gordon (Qi). WHITLEY, Dorothy Mae – Peacefully at the Village of Taunton Mills on Sunday, April 7th 2019 in her 98th year. Dorothy, wife of the late Jack and mother of the late Lea. Sister of Winn Lewis and the late Marge. Fondly remembered by Michael, Debbie & Heather Lodge and Erika Byres and her family. Aunt of several nieces and nephews. DESOUSA, Maria Amelia (nee Lopes) - Retired Chrysler Trim Plant - Peacefully surrounded by family on Sunday, April 7, 2019 at Lakeridge Health Oshawa at the age of 85. Predeceased by her sons Joao Manuel and Richard Joseph DeSousa and her parents Joao Rosa and Maria Julia (nee Espiga) Lopes. Dear sister of Augusto Lopes (deceased) and his wife Maria Emelia and family, Joao Espiga Lopes (deceased) and his wife Elaine. 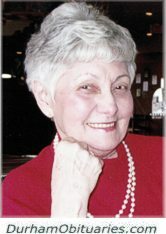 PEDDLE, Mary Margaret “Marg” - Peacefully with family by her side on Sunday April 7th, 2019, Marg in her 78th year. Loving mother of Diane Goddard (George deceased), Maggie Peddle, Charmaine White (Kevin) and Darlene Peddle. Predeceased by daughter Tina Robertson and parents Leander and Anastasia (née Dalton) Picco. MARTIN, Catherine Astrid - It is with heavy hearts that we announce the sudden but peaceful passing of Astrid on April 8th, 2019 at Lakeridge Health Bowmanville in her 80th year. Beloved wife of the late Robert Martin (2008). CREAMER, Heather Creamer - It is with great sadness we announce the passing of Heather on April 7, 2019 at Sunnybrook Health Sciences Centre. Cherished wife of Bill for 38 years. Loving mother of Laura (Chris) and Paul (Joanna). Beloved grandma of Carter, Hudson and Charlotte. Loving daughter of Margaret and the late Arthur Wright. Dear sister of Laurie (Tim), Stuart and Ian (Holly) and predeceased by Gordon, Jamie and Brian. KING, Richard Mitchael - Passed away peacefully after a courageous battle with cancer at Toronto General Hospital on Sunday, April 7th, 2019, in his 77th year. Predeceased by his parents Herman and Merle King. Loving father of Troy King. 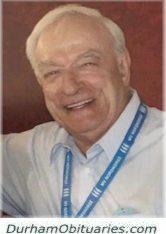 On Sunday, April 7, at Lakeridge Health, Oshawa, Frederick Malleau passed away after enduring Aphasia and Progressive Supranuclear Palsy for many years. 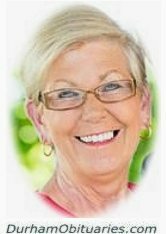 FITZSIMMONS, Patricia Margaret Fitzsimmons - After a long journey with Progressive Supranuclear Palsy, Pat passed away peacefully at home with her family by her side on Sunday, April 7th, at the age of 70. Beloved wife and best friend of Fred for 50 years. 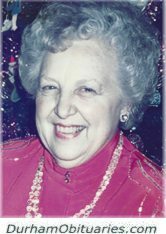 MASSON, Joan Eleanor - Passed away peacefully at Lakeridge Health Oshawa on Saturday April 6, 2019, in her 87th year. Loving mother of Phyllis Sluman (deceased Rick), Paul Masson (Cynthia), Jeff Masson (Suzanne) and John Masson (Cindy). Cherished grandmother of Craig (Courtney), Neil (Miranda), Vanessa (Robert), Michael, Sarah, Cameron and Avery. Great Grandmother of Charlie, William and Cadence. Predeceased by William (Bill) Masson. 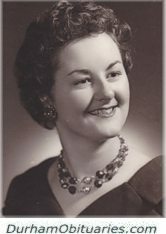 WRIGHT, Dorothy Ann – Passed away at her residence in Kirkfield, on Saturday April 6, 2019. Dorothy was the beloved wife of Gerald Wright for 44 years. SULLIVAN, Ronald (Ron) Arthur Sullivan - Of Cobourg. Age 84 years Ron Sullivan passed peacefully to his rest in the loving arms of God and surrounded by his children, on Saturday, April 6, 2019. He is now at rest with his beloved wife Lelah who passed in 2008.